30 Mar San Joaquin River is Calling! It’s springtime at last, and a great way to usher in the season is by paying a visit to Fresno’s beautiful San Joaquin River by taking the Shadow of Little Table Mountain Tour. 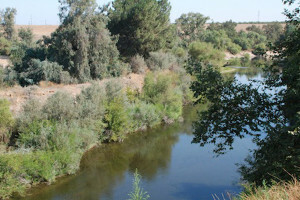 On Saturday, April 2nd, the San Joaquin River Parkway and Conservation Trust, Inc. will be hosting a guided tour of river’s usually off-limits Van Buren Unit, and guests will have the opportunity to learn about the area’s history, flora and fauna from experienced tour guide and biologist Bill Wattenbarger. The hike will take about 3 ½ hours, and all children 10+ are welcome.